On Tuesday night, the St. Louis Cardinals won 6-0 against the New York Yankees. Cardinals’ fans were pleased with the victory and about 45,202 spectators arrived at the game to see these two teams play against one another. The night before, it took 12 innings for the Cardinals and Yankees game to come to a close, resulting in a Cardinal defeat of 4-6. 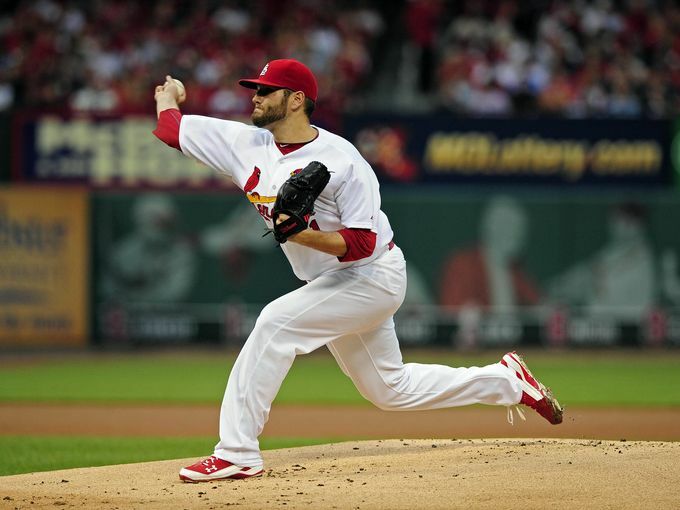 However, the players and crowd remained confident and supportive during the nine innings on Tuesday night that led the Cardinals to win the game. Cardinals’ fans were excited to see these two highly ranked teams playing in the same stadium once again. Cardinals and baseball fan, Alfonso Graterol, expressed his excitement about the game. “Yankees vs. Cardinals is exciting, I don’t know if I’m going to be able to see these two teams playing again for another year since they are in different leagues,” Graterol said. The Cardinals were up 4-0 at the bottom of the third inning, with scoring runs from Carpenter, Holliday, Adams and Molina. 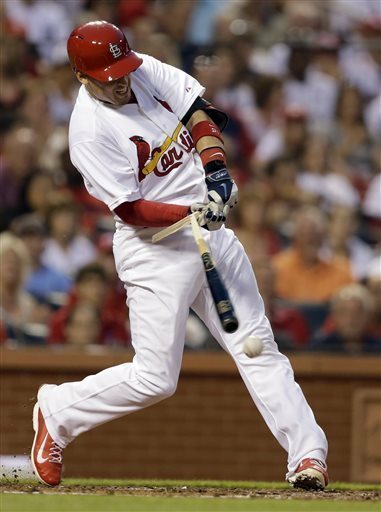 Allen Craig breaks his bat during the third inning. Cardinals player Allen Craig scored the first home run of the night during the bottom of the fifth inning, causing more excitement during the game and changing the score to 5-0 with the Cardinals remaining in the lead. After the first home run, spectators became very passionate and cheerful for the rest of the night. Clementina Mazzarella, another Cardinals fan, expressed her satisfaction with the performance of the team and the amount of home runs the players hit. “Home runs are the most exciting plays of the game,” Mazzarella said. Mazzarella said that the homeruns are what kept the crowd so rowdy and energized and everyone was anxious to see another. During the bottom of the seventh inning, Matt Holliday made the final homerun of the night, making the score 6-0. At the top of the ninth inning and after two strikeouts by Jay and Lynn, Carpenter was the final player of the game to bat for the Cardinals. Carpenter fouled out and then the bottom of the ninth, and final inning, was underway. The Yankees finished out the game with zero hits and zero runs for the ninth inning, ending the game with an outstanding win by the Cardinals. The crowd went crazy and the Cardinals celebrated their victory over the Yankees. 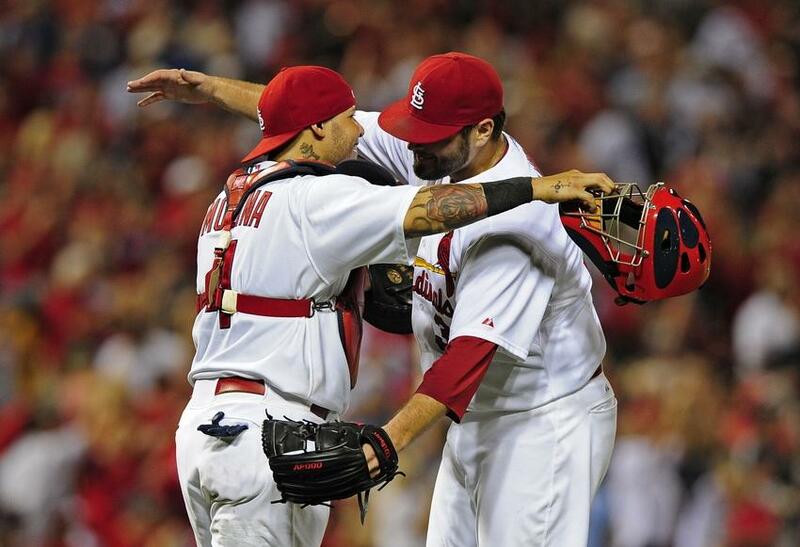 Lance Lynn (31) celebrates with catcher Yadier Molina (4).